If you’d rather watch/listen – play the video. Want to stay updated with ProlificBanana? Subscribe below! 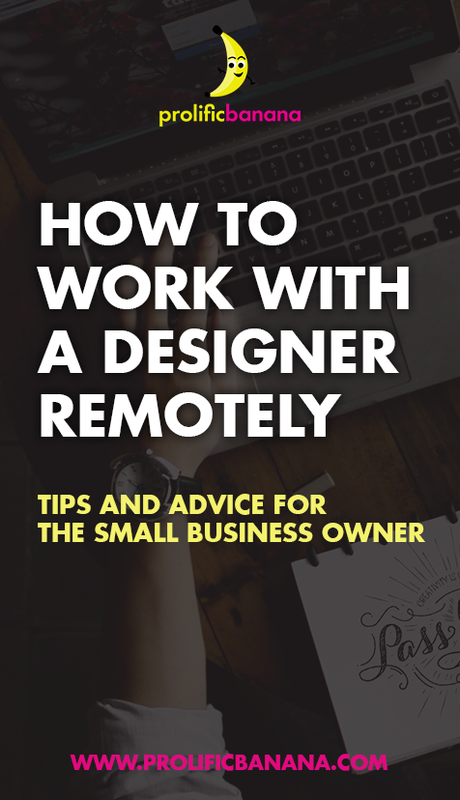 How to successfully work with a designer remotely. You run a small business and you wear a lot of hats. There is never enough time in the day. 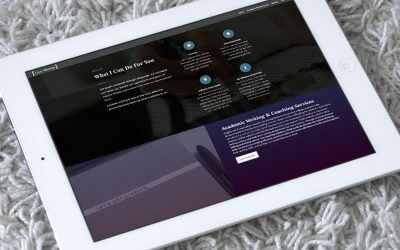 Not only do you have to take care of your customers, but now you need to update your website or create some flyers for the upcoming tradeshow. You simply don’t have the time or interest in doing that though, right? Time to hire a designer. 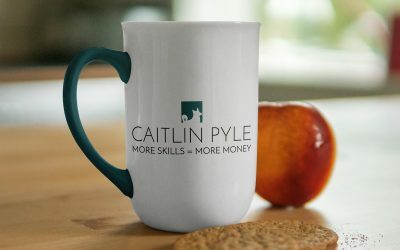 More and more businesses are realizing that it’s more cost-effective to hire a contractor or freelancer for services instead of hiring someone full-time to do the job. (Of course once you reach a certain size in your business, having an in-house designer is preferable). For many small businesses though, they just don’t have the budget to hire full-time. What if you don’t know a designer? Maybe you ask around, but if you live in a small town, it may be hard to find one. The next step involves hopping onto Google to see who is available. You have unlimited choices. Do you work with someone more local or someone who lives a few states away? There are a lot of advantages to working with a designer locally – you can meet with them in person to get a feel of how they work, their personality, and if you get along enough for it to be a good fit for a working relationship. As someone who lives in a very small town in rural Iowa, I can tell you that I have a fair number of local clients. I can also confidently say that 90% of our communication is done through e-mails, text, and phone calls. We may meet once in awhile in person, but the vast majority of our contact is done digitally. Surprisingly, I actually talk with my remote clients more often than many of my local clients. With the vast amount of technology available nowadays, it’s just easier to get ahold of people. It’s easy to schedule Skype calls, phone calls, text messages, etc. I even have Skype meetings with a local group that I am part of. Working remotely with a designer isn’t too different than working with one locally. The main differences are in order for phone calls and e-mails to be efficient and effective, both parties must be concise in what they say and make sure they are conveying the appropriate messages and tone when relaying messages. This gives you a look into how organized (or disorganized) they are. If they can easily tell you the steps or phases of the project, their expectations of both themselves and of you, and give you a general guideline to follow, the project has a much higher chance of being successful. Knowing they have a process in place means that you don’t have to try and create one out of thin air. This also means that they know how to work effectively – meaning less wasted time. It’s important to think about what your goals are before the project starts. A good designer will ask you about your goals and how you plan on measuring success. 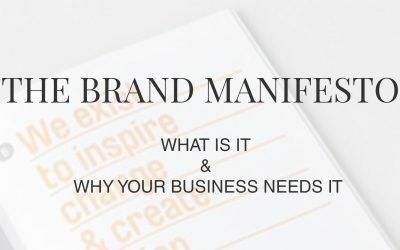 Each project is unique because each business is unique. The more ambiguity there is in the project, the less successful it will be. Knowing your goals helps guide the designer. Of course if you need help establishing goals, a designer or a consultant/strategist can help you out with that as well. You think you’re saving yourself and your designer time by putting everything into one e-mail. The truth is that you’ll make your designer’s job 10x harder. I once had a client email me multiple times a day, each e-mail consisting of at least 400 words, and discussing every topic under the sun. When I needed to reference things, it would take me a good 30 minutes to 1-hour to try and find the bit of information that I needed. Had each subject been separated, I could have searched for that project, and easily found it within minutes. Yes – I charged for that time. Communicate within the working hours of the designer. If you need to discuss things with your designer, make sure you contact them during their working hours. If they don’t work at 1am but you still send an e-mail, don’t expect to hear back ASAP or even first thing in the morning. The designer probably already has meetings set up or plans already in place. Things will go more efficiently if you contact them during their normal hours. No one wants to feel like they are chained to their desk 24/7. If you are unclear on something, tell the designer immediately. It’s okay to not have answers. It’s okay to not know what someone is talking about. Just ask. I appreciate when clients tell me that they aren’t understanding something. That lets me know that either I need to work on my communication regarding that subject or that I may need to rethink something. It’s also nice to just connect to your designer as a human. No one understands everything. Having that type of relationship will build trust between you and the designer. If you want to discuss face-to-face, set up a Skype session. If you are having a hard time explaining what you want to see in a graphic, find examples and be detailed about what you like and why. We have a lot of wonderful technology at our disposal. It’s important that we utilize it in a way that speeds up our processes, allows us to connect to each other as humans, and ultimately allows us to feel like we’re making progress with the project. If you don’t feel like you’re really connecting through e-mail, schedule a phone call with the designer. Maybe you’re shy and would rather only communicate by e-mail. Figure out what works for both of you and go for it. As with any relationship, communication is the number one determining factor in whether or not the relationship will prove to be successful. Designers are trained to communicate visually, but we are not mind-readers (and neither are you). Breakdown in communication is usually the cause of tension between designers and clients, whether that happens in-person or remotely. Working remotely takes consideration, respect, and honesty. You may be in different timezones, so understanding each person’s working hours and determining expectations about when emails and phone calls will be returned will result in a smoother experience. I’m sure you don’t want to be working at 1am, so it’s only fair to expect that the designer will also not be responding at that time. If in doubt, ask them when they work and when they are available for calls. ProlificBanana, LLC is an Iowa-based design business (located in Jefferson, Iowa more specifically). Megan Vaughan (designer and owner) received her BA in graphic design and communication. After working in corporate for a few years, Megan decided to start her own business in 2012 – serving small businesses in Des Moines and surround areas in Iowa. ProlificBanana has worked with clients nationwide and internationally – doing both print and web design.